For all shopaholics out there, here’s another reason to rejoice. In two days’ time, ZALORA, one of Asia’s biggest online fashion destination, will be partnering with over 140 major e-commerce players in the region for 12.12 Online Fever. The event is set to be Southeast Asia‘s biggest cyber event, offering shoppers up to 80% off purchases across fashion, food, beauty, travel and more. Partners for this event include Jetstar, foodpanda, Citibank, StarHub, Naiise, and Easy Taxi, among others. 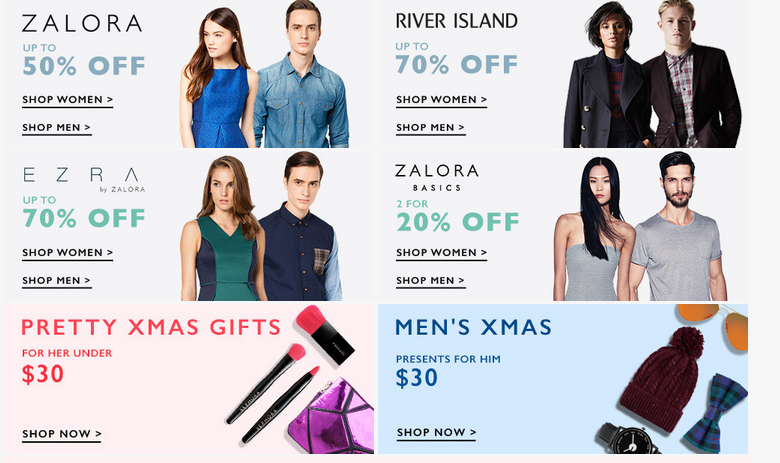 Led by ZALORA, the 12.12 Online Fever is part of an effort to promote e-commerce in the region. A joint landing page will be set up across the seven ZALORA sites where participating partners will list deals and discounts for the day. The event is a bid to integrate e-commerce collaboration to grow the entire consumer ecosystem. For example, through the event, delivery partners in Singapore such as POPStation and 7-Eleven convenience stores hope to educate consumers on the ease of online shopping by highlighting and incentivising convenient pickup options through added benefits such as ZALORA cash back store credits and gifts with purchase. It is hoped that the 12.12 Online Fever can help allay fears and misconceptions around online shopping, and foster consumer confidence in online transactions. The 12.12 Online Fever is said to be Southeast Asia’s answer to Cyber Monday and Singles Day. Coinciding with the festive period, the event is the perfect opportunity to shop for Christmas essentials. Those planning for their holidays in 2015 can also look forward to special deals for flights and hotels with low-cost airline Jetstar offering exclusive rates during the event and accommodations booking site Hotel Club also featuring discounted rates. The 12.12 Online Fever will be rolled out on ZALORA’s Singapore site on 12th December at 12am and will last for 24 hours, so be sure to check them out before it’s too late!